Size: 8 1/2" x 7" - Turnaround: 3 to 5days - Black or blue ink. 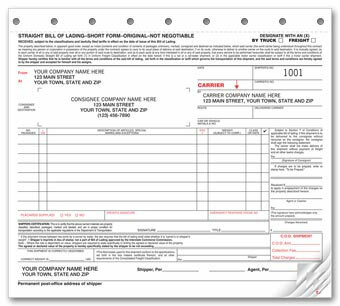 Template for bill of lading invoice, add your company information and logo. Give your business a new look and feel. Order now!